Divorce represents a difficult, trying, and in some cases messy process to litigants on both sides and can even impact close family members in similar ways. Many issues can and will arise throughout the litigation process, especially the pursuit of equitable distribution which is often hard fought by both spouses. One of the key issues that is often raised is alimony. The court decides alimony payments based on lifestyle and spending patterns that the couple have grown accustomed to during the marriage. Problems can and do arise in many cases when the lifestyle and spending may far exceed the actual income. In these instances it is most often necessary to retain the services of financial experts in order to accurately provide the court with a figure for fair alimony; the retention of hired financial support is apparent especially, but not exclusively, in high-asset divorces. 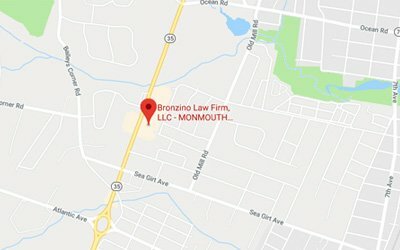 The Bronzino Law Firm LLC, has represented clients in many communities across New Jersey including Asbury Park, Neptune, Wall, Manasquan, Point Pleasant, Brick, Jackson, Sea Girt, and all of Monmouth County, Ocean County and across the Jersey Shore. Our attorneys that make up the Bronzino Family Law Team understand the difficult task ahead, and are here to walk our clients through this often complicated process by providing client-centered counsel every step of the way. Contact our Brick or Sea Girt offices today by calling 732-812-3102 for a free and confidential consultation regarding your potential divorce. As more and more couples support themselves with credit as opposed to actual income “lifestyle” is something that the courts must look at more critically before deciding an award of alimony. In Ponzetto v. Barbetti, decided on June 28, 2016, the spouses were ending a nineteen year marriage. There were no children from the marriage and the only issues in the case were equitable distribution and alimony. The husband had started what at one point was a very lucrative business, for which the wife kept the books. However, the business suffered during the economic downturn. The parties’ lifestyle, however, did not represent this as they continued to spend lavishly. While it is normal for a judge to look at the parties’ spending during the last several years of the marriage to determine lifestyle, in this case, the trial judge found that it would not be appropriate to do so, where the lifestyle was not based on actual income. As a result, the judge declined to use the parties irresponsible spending in determining marital lifestyle. This allowed an alimony judgement that was far less than what the wife was seeking but more accurately represented what the supporting spouse was able to pay. This is an excellent example of why an experienced and skilled divorce attorney is critical when one is entering the divorce process. Depending on how financially complicated matters are, trials can last for days or even longer, as parties may unload documents showing expenses, assets, and information regarding income. 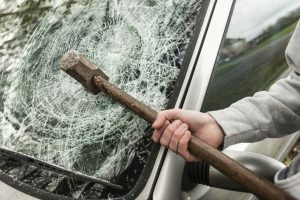 If one of the spouses is self-employed, runs their own business, gets-laid off, or quits work to take care of children, the imputation of income of the parties for the purposes of calculating child support and alimony should be looked at carefully. Sometimes, the division of some marital assets, which may include houses, retirement accounts requires a valuation to be made. The use of qualified financial experts may be required to educate the trial judge. In addition to determining actual income of the parties as compared to their lifestyle, experts may also help with the valuation assets that may be subject to equitable division in New Jersey. An expert such as a certified public accountant, may aid the court with the valuation of retirement plans. Real Estate experts can aid in the appraisal of houses, apartments, land, or commercial property the parties co-owned. The court may also appoint an economic expert to resolve economic/financial issues. A forensic accountant may also be used to determine the value of a self-employed party’s business, which is also subject to equitable distribution. 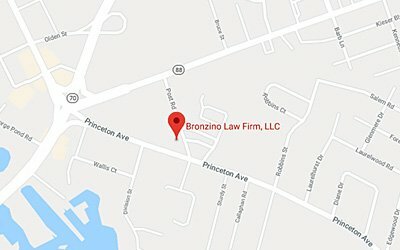 The experienced divorce attorneys of the Bronzino Law Firm, LLC served the New Jersey community by guiding and representing clients through all kinds of divorce and family law matters in Ocean and Monmouth County towns including Toms River, Brick, Ocean, Point Pleasant, Red Bank, and across the Jersey Shore. From the beginning our firm has believed in aggressively and zealously representing our clients and using every possible legal tool to help them realize the best post-divorce life possible. For a free and confidential consultation, please contact us online or through our Brick and Sea Girt offices by dialing (732) 812-3102 today.